I was hoping to get some help in identifying this cactus. I have had it for about a year (plus or minus a month) and it has grown at least 2-3 inches in that time. It seemed to be getting much to large for the pot I had it in, along with another cactus and a couple succluents so I am trying to create a new garden pot and am trying to figure out the best place to place it according to how large it may become. 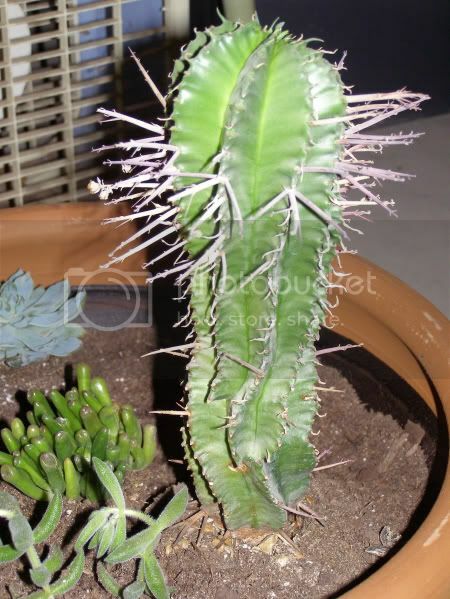 The cactus right now is about 10 inches tall andf 2 1/2 inches wide at the top (minus the spines). 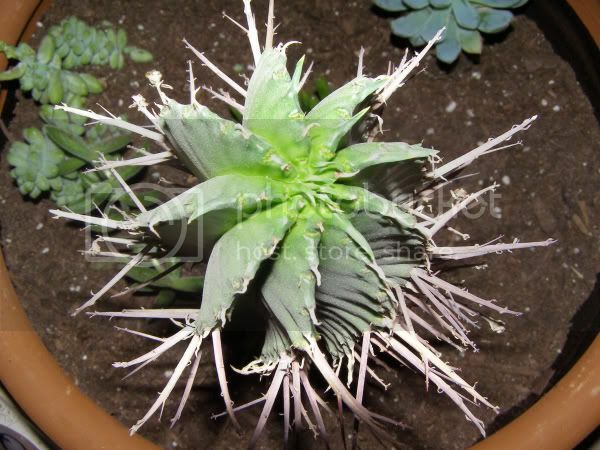 It also gets small white flowers on the end of some of the spines before they dry up and turn brown.